Should you open the door for a lady? Is being kind enough? Can anyone learn to be a real gentleman? In today's society, being a gentleman isn't as simple as it used to be. Advances in equality and changes in style have made the rules harder to define and follow. 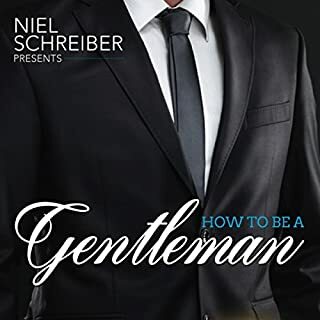 How to Be a Gentleman: What Every Modern Man Needs to Know About Manners and Behaviors to Attract Women is more than a simple etiquette book. It's a path toward a more confident and attractive way of thinking and living. Nearly every man wants to be a gentleman. He may not know exactly what that means, but his true desire is to be respected and admired in the way only a gentleman can be. He wants to be prepared and confident, certain that his judgment is shrewd and his behavior appropriate. A gentleman considers the weight of his words and the impression he is leaving. 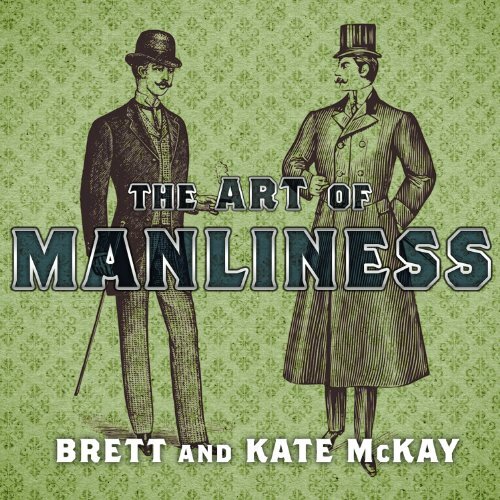 At a time of astonishing confusion about what it means to be a man, Brad Miner has recovered the oldest and best ideal of manhood: the gentleman. Reviving a thousand-year tradition of chivalry, honor, and heroism, The Compleat Gentleman provides the essential model for 21st-century masculinity. 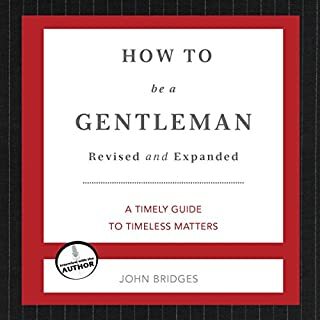 An excellent book and a great resource for a dying breed, the gentleman. 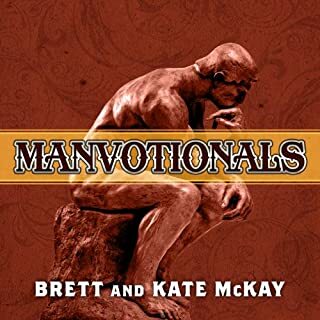 I highly recommend this book as well as the sequel, "Manvotionals"
Trying to picture how to tie different styles of knots is a futile exercise - a companion PDF would have made all the difference in the world. I enjoyed it. In the book, the author states that the purpose of this book was to pass on sage-like advice to the younger generation. This generation is missing out on proven wisdom since the passing on of this information has gone out of common practice. If anyone has actually talked to anyone in the 16-23 age bracket, it's a hard assertion to argue with. So, I think the authors should know that they've done exactly what they set out to do. I picked up this book for those very reasons. As is pretty common for folks of my generation, I didn't have much of a relationship with my own dad. Same for my older brother. As a result, I always felt I missed out on some of the fundamental manly teachings that these authors address. Some tips were mundane (like how to tie a tie), while others (how to be a good husband and father) were ethical tips that mirror my own beliefs that definitely seem to grow exceedingly out of vogue with each new generation that comes across. I wish I had this book when I was 15. There were parts of the book that dragged a little (the parts about camping and how to help give birth were a little dry to me) and that was my main reason for not giving it a full 5 stars (if half stars were an option my true rating would be 4.5 stars). It was a fun and interesting read, and was perfect to break up the sci-fi/fantasy rut I found myself in. I greatly loved this book. As a man who did not have a father to pass on manly virtues, this book helps with that missing piece. For a few years now I have learned to be a man through God's word and instruction. I find this book agreeing with the Most High, closely. The narration was superb, didn't miss a beat. Absolutely. Especially a young man. I lost count of the number of faux pas Brett addressed that I've committed over and over again. Shaving. I have since converted to safety razors for the economy and the attitude. Just as in the Altered Carbon series, Todd brings a casual, almost quirky attitude to the text, as if he is always half smiling. I'd buy him a beer if I met him on the street; he is my favorite narrator thus far. No. Too much information. In fact, I bought the hard-copy to use as a reference. If not for me, then certainly for my son. Provided great advice and insight. I truly enjoyed it. 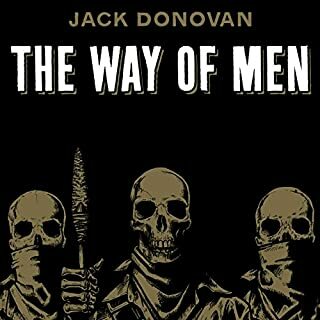 I started shaving with a saftey razor because of this book and love it. Thanks to this book, I've learned that there are so many thing that I need and want to apply to my life. Loveed it. The book was pretty practical and gave me good advice to think about. 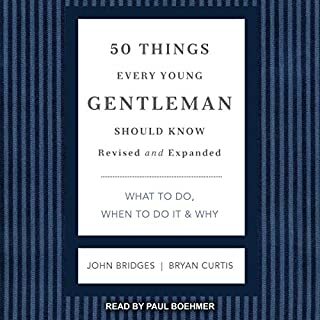 An excellent resource for learning how to be a great, well rounded man - prepared for many of life's situations. A well written, funny and educational book. Has some very valuable lessons in it with plenty of humour (I could not stop laughing about the vivid description of changing a nappy). The narration was brilliant and the change of tone was well done when needed. I also really liked the history behind a bouquet of flowers and their different meanings. Just a bloody good listen. 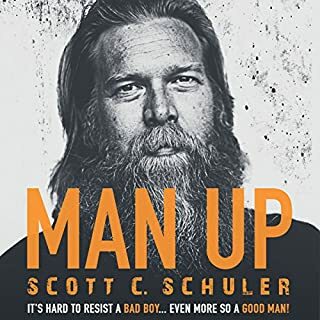 This is a great book for anyone who thinks that men and living wrong today.